Inexperienced pilots should consider buying Cheap Drones to improve their flying skills. The cheap drones are available in the market, some of which go for less than $100. 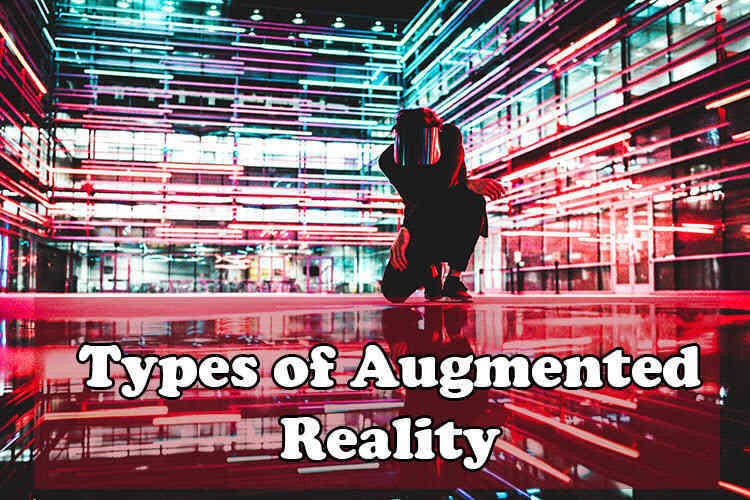 These drones can easily enable inexperienced pilots to gather deemed experience which is paramount in handling high-end drones for aerial photography in their piloting journey. There is a wide variety of drones in the market and it might be hard for buyers to decide the best drone that will suit their needs. Below, I have outlined some of the best drones that you may consider to look at and purchase the one that best fits you. These drones are of high quality and very pocket friendly at a price of less than $100. This is the most top rated drone that you can get under $100. It is highly durable and easy to handle for beginners. Prior analysis indicates that it has durable and reliable props that makes it comparatively safe in case of a crash. • Durable props which covers the entire machine and frames. • Does not have a mechanical stabilizer making it vulnerable to give dis-satisfactory results at time. • It has a light weight which may make it difficult for you to control it on windy days. This drone enables you to enjoy a range of benefits and it has received numerous positive reviews on Amazon. It is therefore an ideal machine for beginners who possess the ability to utilize it to have lots of fun and blissful moments. It has very few cons and its price is very pocket friendly making it worth for you to give it a try. 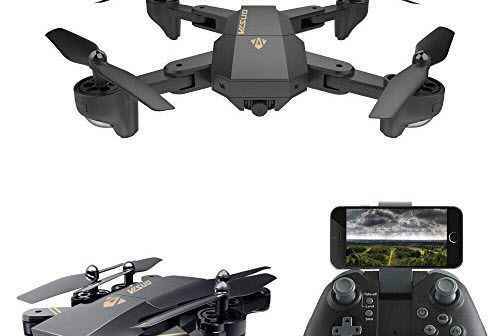 You can buy this amazing drone on Amazon at a cheap price of $79.99. Don’t mistake the low price for poor quality. Hubsan H107DX4 is made of high quality materials and offers numerous benefits that you can enjoy as you enhance your piloting skills. • Can cover a flight in a duration of 6-8 minutes. • It easily determines its flight by utilizing the painted propellers and LED lights. • Highly durable and has a reputation of lasting for many years. • When the camera is on, it can only last for 5 minutes in the air at maximum. 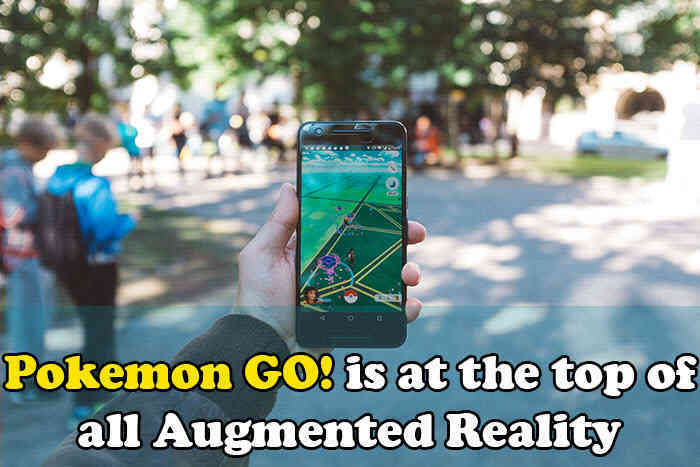 • The battery and camera are non-removable making it hard to replace them in case they are malfunctioning. • Lacks the ability to function under windy conditions limiting it to operate perfectly for indoor flights only. 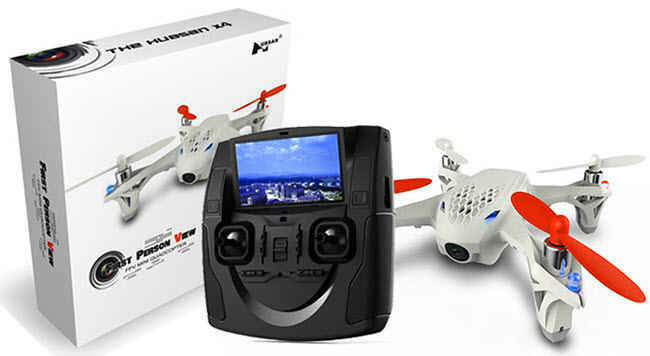 Hubsan H107DX4 is a perfect choice for beginners especially those who prefer indoor flights. 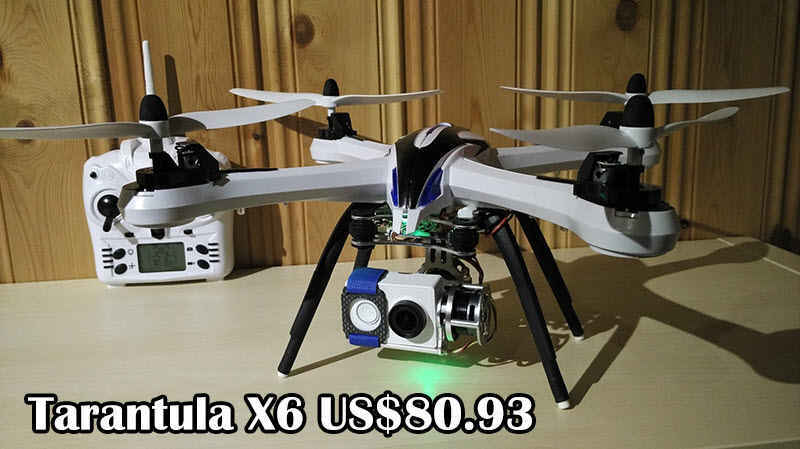 It is one of the machines that goes for the lowest price possible and at the same time offering fantastic flights which you can’t afford to ignore as a beginner. It has been analysed critically and have been proved to be safe and effective. 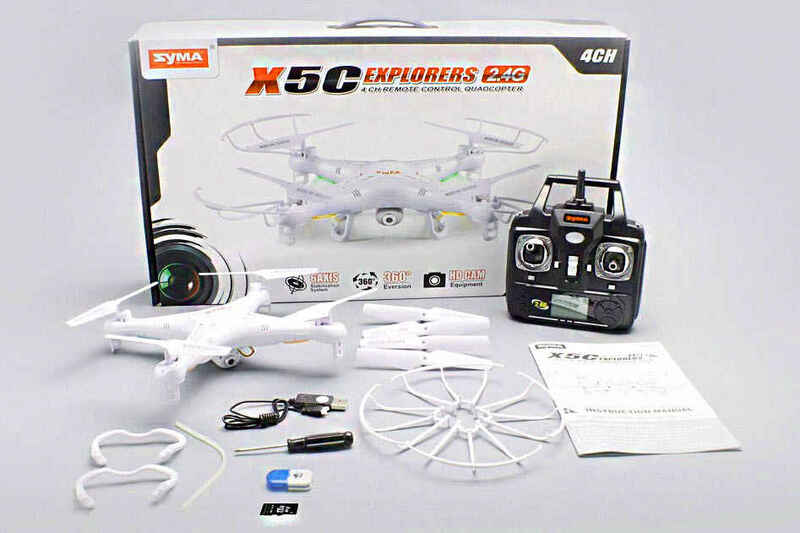 The updated version of Syma X5C-1 is one of the best-selling drones you can find in the market. It has a heavy weight and comes with an in-built microphone; features that has earned it numerous positive reviews on Amazon. • Lasts for at least seven minutes in the air and it can even last longer when you remove the wire and add an extra battery. • Very versatile to be controlled in any direction; up, down, right or left. • High quality battery for effective support of its performance. 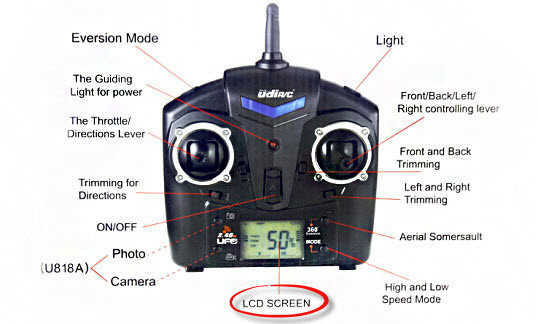 • You can make it lighter by disconnecting the camera wire to enhance your piloting skills further. • Low price yet it is very safe since it comes with a camera, landing gear and prop guard. 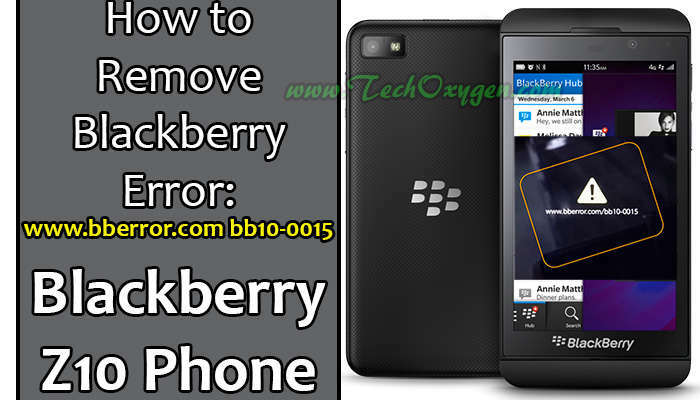 • The battery takes a large amount of time of at least 90 minutes to charge. • It may shut down at low voltage and plunge to the ground. • The camera quality is not tailored for professionals. This is an amazing machine for beginners whose features enables you to enhance your skills without purchasing another drone. With improved skills, you can remove the camera, landing gear and prop guard to reduce the weight of the drone and increase its motility and flight time. Holy Stone HS170 Predator is among the best alternative drones you can use to improve your drone flying skills. It is a best-selling drone on Amazon under quad-copters category at a price of less than $50. • 6-axis gyro stabilization system. • The RC camera covers a wide range of around 50 meters. • Flies for a minimum of 6-8 minutes. • Has a rapid charging battery. • Resists windy conditions using the 6- axis gyro stabilization system. • May bounce and flip on landing. 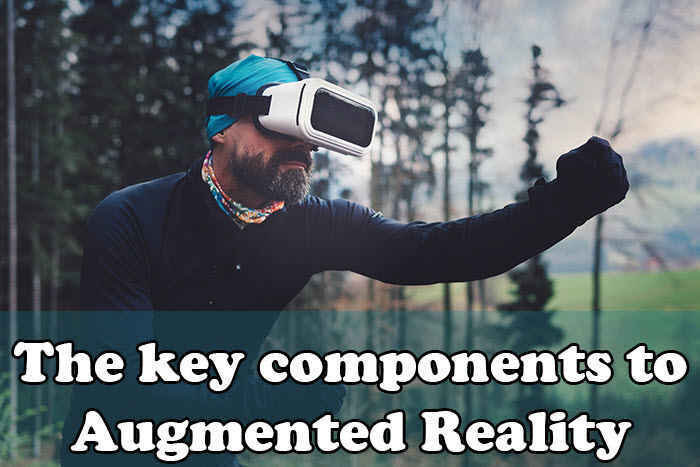 The features of this drone enables you to have enjoyable flights where you can perform flips and tricks as you take beautiful videos and pictures. It offers responsive performances making it to be very recommendable. This drone is designed in an exotic style which makes it very attractive and you cant help noticing it even at night. 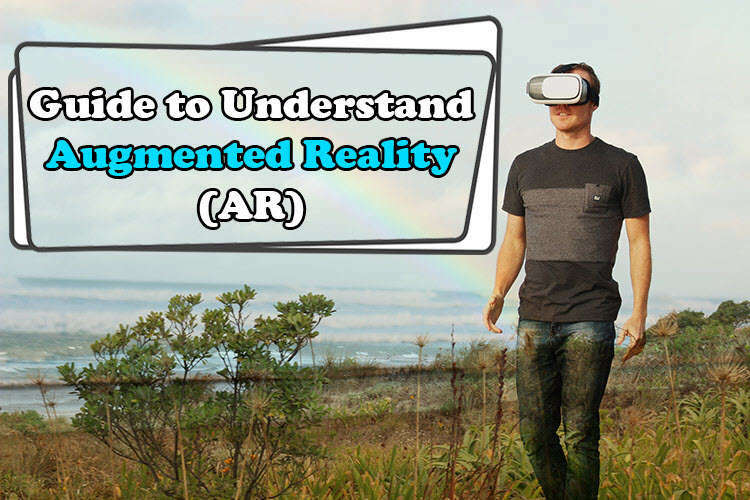 It uses FPV software to provide visual flight experience. • Long flight time of 8-9 minutes. Rabing RC Quadcopter functions best when the weather is calm and it is easily controlled using an app. It hovers in the air silently and it is one of the best drones you can purchase online on Amazon and other websites. Tarantula X6 gives a relatively stable flight which is facilitated by its 6-axis gyro. You can even find a cheaper model which comes without a camera. This drone has been positively reviewed over the years and you may find it important to make it part and puzzle of your flight since it is very pocket friendly. Blade Nano comes in a sleek design and it has been reviewed over time as an epitome of an entry-level drone. • Ability to respond quickly and swiftely to commands. • Sensitive to windy conditions. 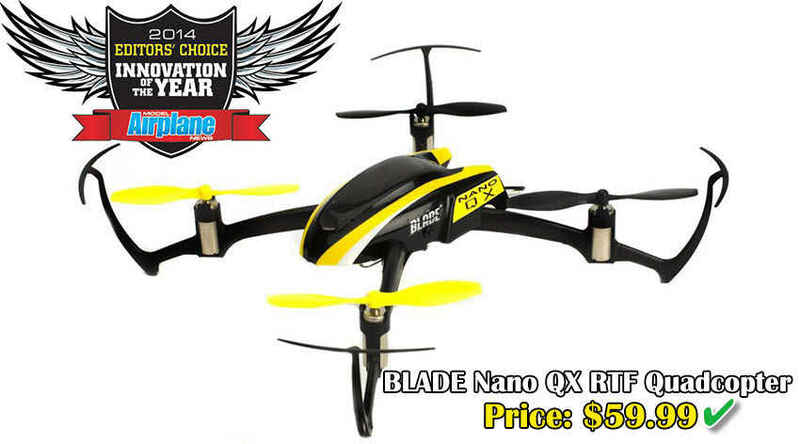 Blade Nano is one of the best drones that drones enthusiasts can use to have fun. There is a wide range of drones under $100 that you can purchase, the above being at the top of the list. However, choosing the drone that best fits you may be the key to experiencing an enjoyable flight. 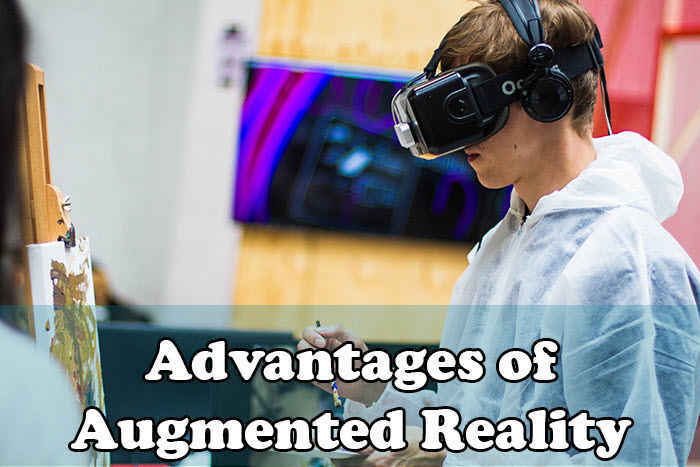 You can easily afford the drones which cost less than $100 and have an amazing time as you look forward to enhance your skills and switch to high-end thrones. Photoshop is a great photo editing tool. Without a doubt it is the most advanced photo app for both Windows and Mac. To access this great program, you need to pay $9.99 a month. If you do not have a credit card or cannot afford the extra expense, then it may not be a practical option. Fortunately, there are free Photoshop alternatives available. 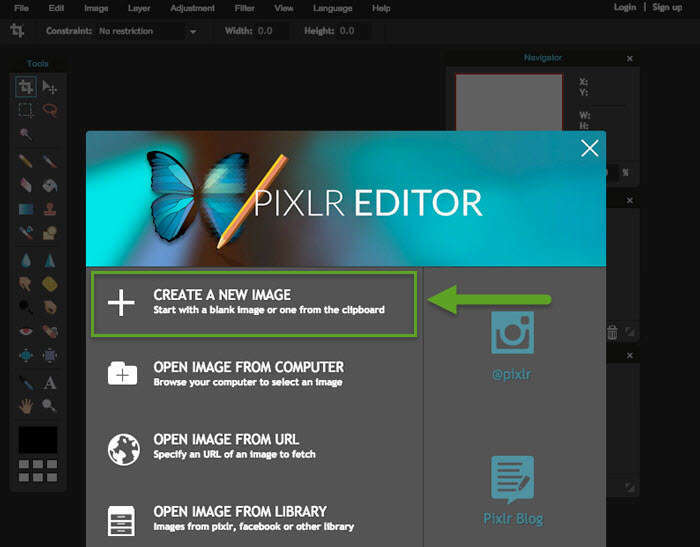 To find a free Photoshop alternative online one can use the search box on their browsers. Or they can read the following review. 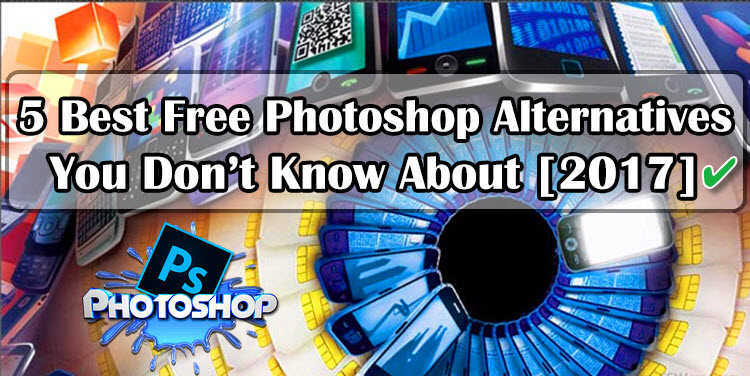 We use our experience and knowledge to guide you to the top 5 free Photoshop alternatives. Or its real name, gnu image manipulation program, is the top free Photoshop alternative. The top feature on that makes this Photoshop alternative attractive is its compatibility. 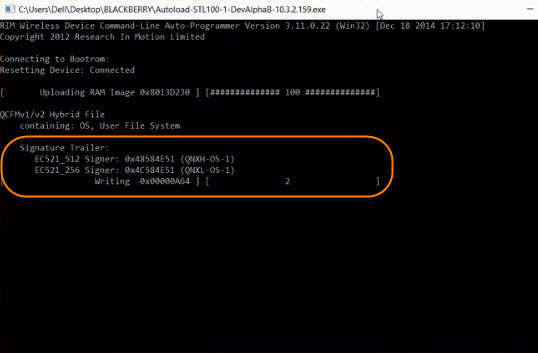 When you download this program, it will work on Windows, Mac and even Linus. Another good feature is its tutorial. These lessons will transform a novice into an expert photo editor in no time. Feeling creative yet do not think GIMP is up to the task. That is understandable. Yet GIMPs program allows you to use more plugins. Just like Photoshop does. One drawback to GIMP Photoshop. It may not possess as many features as Photoshop, but it has more than enough to do the tasks you want. Downloading GIMP is simple, safe and secure. Top Features- Layers, Selection editing, HDR, Re-touching, Noise removal, Lens and Color correction, Sharpening, Plugin support and more. File Formats- , BMP, GIF, JPEG, PNG, TIFF, PSD, and more. Free Photoshop alternatives are not all made the same. 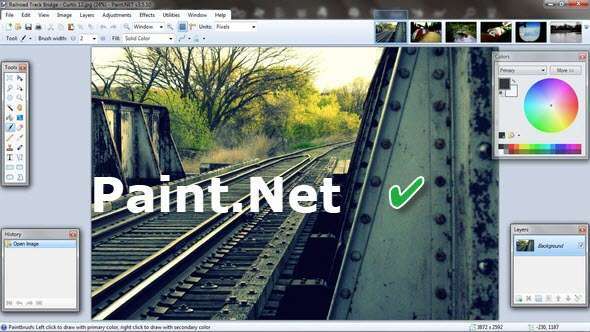 Unlike GIMP, Paint.NET is only compatible with the Windows operating system. But that restriction does not mean that it is not a worthy alternative to Photoshop. Of course, what makes Paint so attractive is its price. It is free. Another attractive feature is its community is continuously working to bring new upgrades and features to you. If you are just starting out in photo editing, Paint is the tool to use to begin your journey. As you become more experienced you can increase your creativity by adding in new plugins as they become available. This is the next generation for Windows Paint. While not as versatile as Photoshop it still possesses the basic features you need to do your photo editing magic. Just go to the official website and download your free version. The search for the best free Photoshop alternative online just heated up with this option. Pixlr does what Photoshop does and more. It contains the same features, layouts and keyboard short-cuts as Photoshop. Plus, it allows you to work with your browser open. 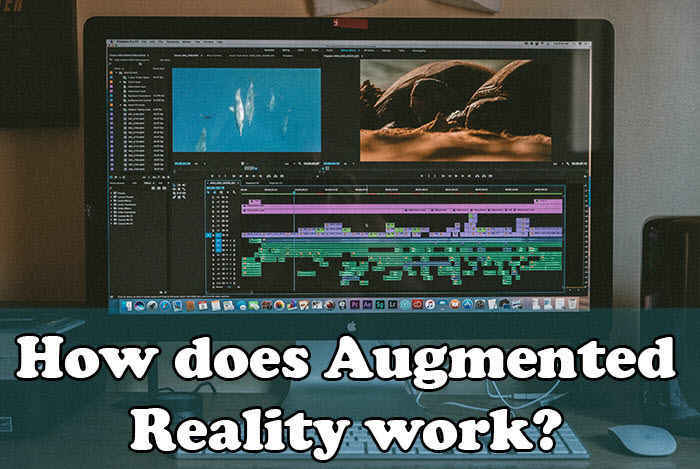 When you edit, you are in total control of adding or subtracting layers & special effects. If you want to be innovative with your blog post look to Canva. Even if you are a novice Canva is the creative tool for everyone. 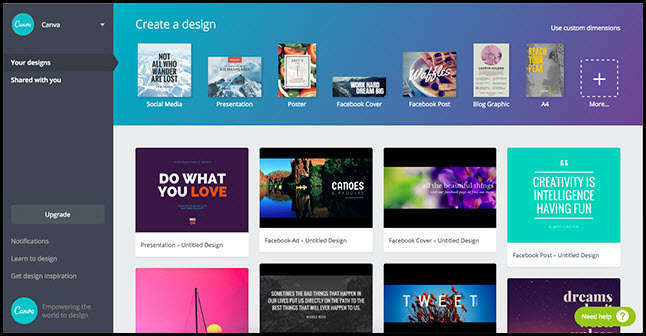 To stimulate your creativity, Canva supplies the user with free templates. These templates will help you develop your creative talent. Even with all the positive features that Canva brings with it, there are some drawbacks. Provides you with yet another free Photoshop alternative online. Its motto is ‘simple’ but strong. To stand out from the pack a product must offer something unique. Fotor does that with its batch processing tool. 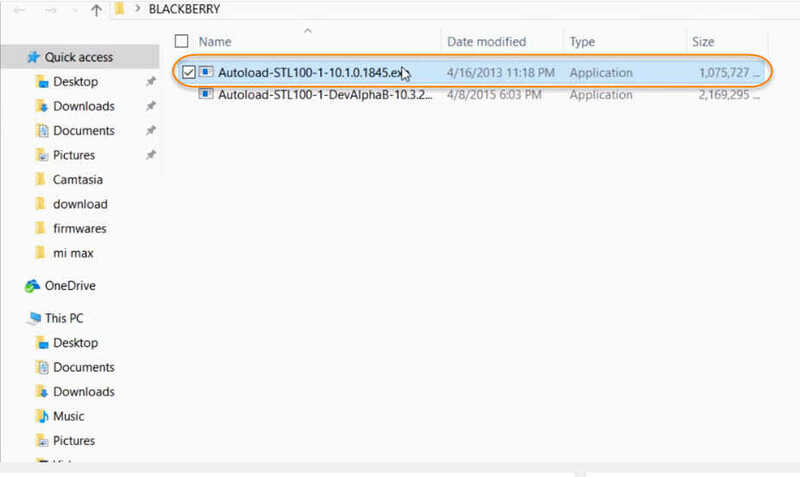 This feature allows you to upload a file full of photos. Then it will sort them for you, filtering out the bad photos quickly. One of its drawbacks though, is that it is a lot like Canva. It mimics that company even in being only partially free. 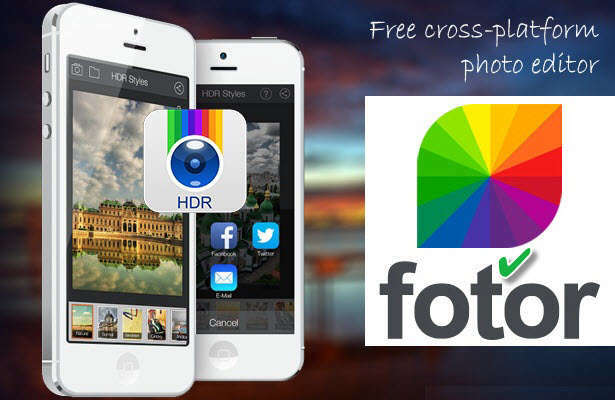 If you want the full Fotor experience and tools you will need to pay for the upgrade. The fee is roughly $39 for the opportunity to become a professional-like photo editor. There are plenty top quality Photoshop alternatives online. Most are free or partially free. But to compete with Photoshop these free Photoshop alternatives must bring something extra. The ones described above do just that. If you want Photoshop quality, tools and other features, you do not have to pay for them. From paintshop pro x7 to GIMP Photoshop you can find a great free Photoshop alternative online. You just need to do your research. You also need to know what tools and features you need. This list is comprised of the 5 best Photoshop alternatives. You won’t miss Photoshop once you try them. Free is a good price to pay for Photoshop quality. Our ideal conditions for this special machine technology to achieve high advanced rates. The cutter head with its cutting tools designed specifically for the geology ensures an accurate excavation profile initial measure to secure the rock are taken directly behind the cutter head. 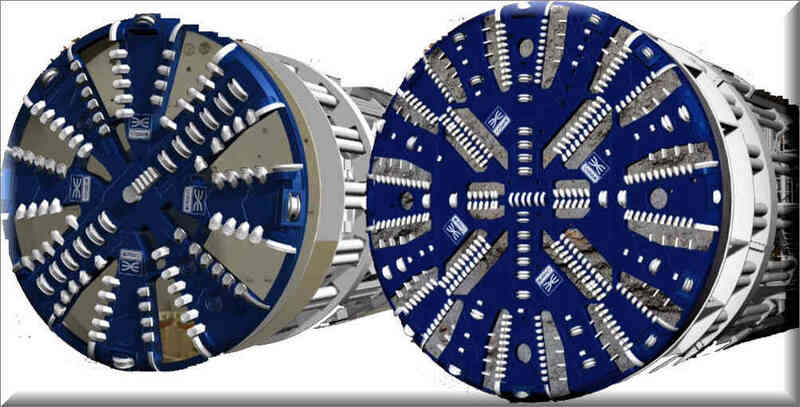 The named gripper TBM is derived form the laterally extendable gripper shoes before each stroke the machine is braced against a previously excavated tunnel wall. Using these laterally extendable hydraulic thrust cylinders in the backup area the excavated tunnel diameter is permanently supported with rock bolts and concrete. If necessary in addition further supply facilities are installed. 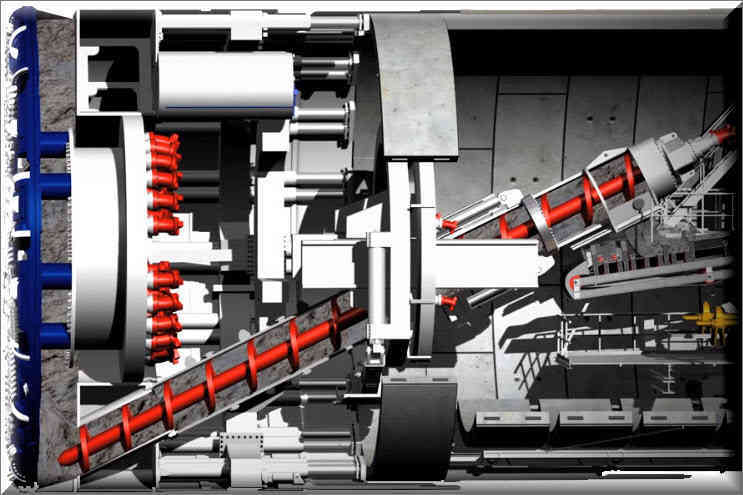 Haren connect tripper TBMs are customized to each project with boring diameters from 2 to over 12 meters. The machine shown below has a diameter of 8.5 meters and a length of 190 meters to the end of the backups system. With a driving power of 42,00 Kilowatts. The Thrust cylinders push the rotating head forward, it’s equipped with 58 cutting tools. The disc cutters they are pressed against the tunnel face with a pressure of up to 32 tons per disk. They are roiling movements break single pieces so-called chips out of the rock. Water jets installed on the cutter-head minimize dust formation and cool down the cutting tools optionally ingratiated sensor system ensure early wear detection this facilities the planning of efficient maintenance intervals for the tool change. Paired connect offers in house manufactured long lasting disc cutters as well as customized technical support for refurbishment. On site buckets installed at the cutter-head to take up the excavated material due to the rotation of the cutter heat the material slide to the center of the machine. The integrated mug shoots there it falls through the funnel shaped much ring into the machine belt running to the rear further belt conveyors of transport vehicles then remove the rock chips form the tunnel. Before each stone the machine is braced against the tunnel wall with the gripper shoes. 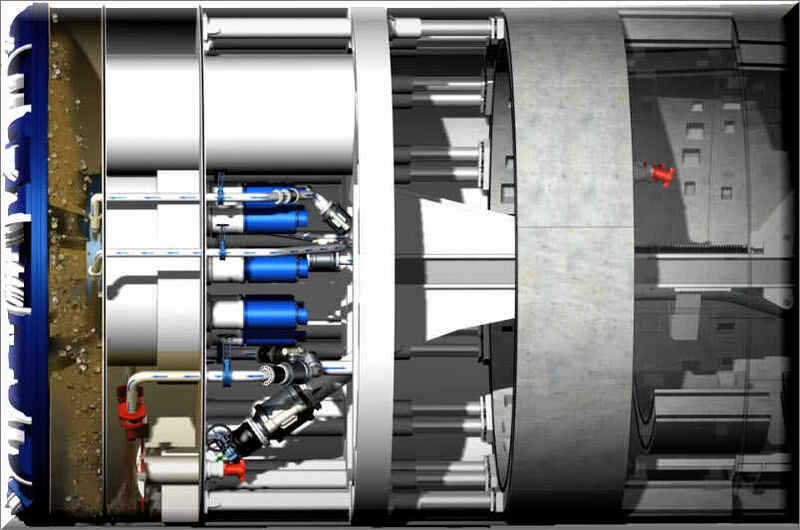 The contract pressure is provided by the laterally extendable hydraulic cylinders, the two cylinders fixed to the gripper unit push the cutter head forward against the tunnel face. Several partial shields allow a flexible reaction to rock convergences they are telescopic and stabilized the TBM. During the boring process prevent vibrations and thus reduce wear and tear a roof shield often equipped with a finger shield, extending backwards protects man and machine against Rockfall. 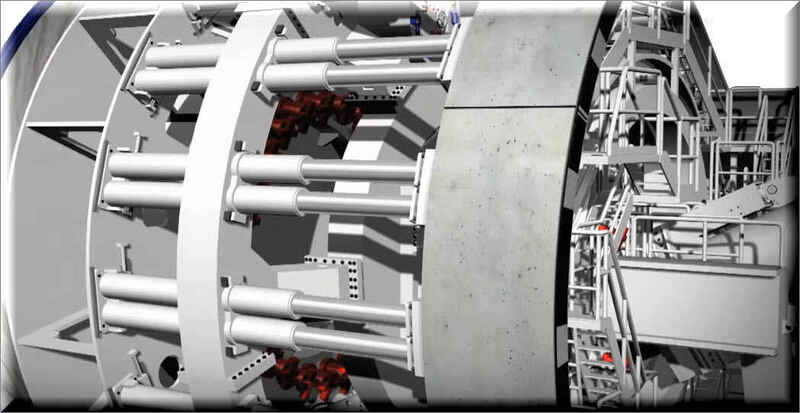 The weight of the tunnel boring machine rests on the invert shield, it slips directly over the tunnel floor and serves as a pivot points for steering. 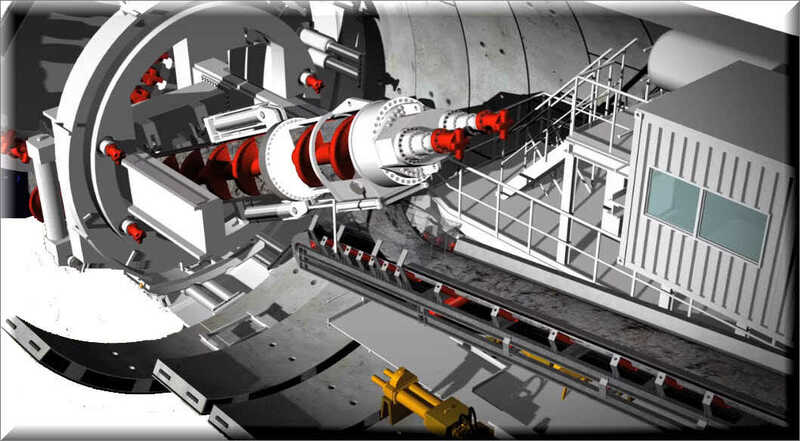 After completion of a strike tunneling is interrupted, the machines supports is extended and the gripper unit is moved forward to the tunnel face. The gripper unit not only provide the pressure for the thrust it, also serves to steer the TBM. The View from above shows the main beam on a sliding bearing in the center of the machine moved vertically and horizontally using the hydraulic cylinders of appropriate cylinders. The Cylinders opposite to each other, interact on the main beam with different degrees of pressure, and thus create the slowly moves. When it opens in 2018 a company that works for tunneling, Will connect 28 existing stations to the West and the City and Canary Wharf. Through 21 Kilometers of new twin-bore tunnels under central London. 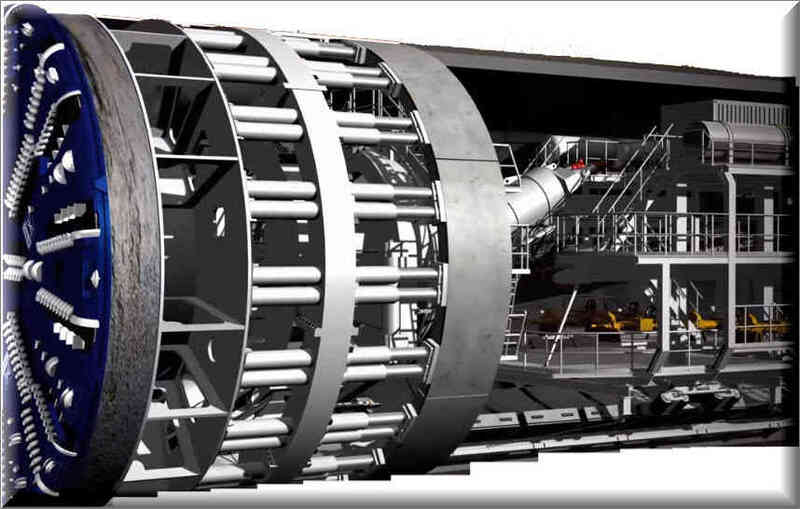 Eight tunnel boring machines, or TBMs, will drive through the ground to create tunnels. A TBM is a 148 meters long and weights a thousand (1000) tonnes. This is the equivalent of 14 London buses end-to-end and a staggering 143 buses in weight. It has a rotating cutter-head at the front and a series of trailers behind housing all the mechanical and electrical equipment. There are two types of TBM being used by the Company, first one is “Earth Pressure Balance TBMs” and second is “Mix Shield TBMs”. Six earth pressure balance TBMs will be used for the 18 Kilometers of Clay to the West and the riverbed deposits in the east, while 2 Mix-Shield machines will be used to drive the tunnels through the chalk under the river Thames. This week marks the 10th anniversary of the iPhone. But what you may not know is the story of the iPhone actually dates back all the way to 1977. Not only is this month the 10th anniversary the iPhone, it is actually the 40th anniversary of the “Apple 2”. The Tech inside this was mostly design by Steve Wozniak, but in classic Steve Jobs form, he actually took the spotlight and debuted in 1077 at West Coast Computer Fair and yes, Apple did build and sell the original “Apply 1” a year prior, but really this was the first Apple product geared for the masses. 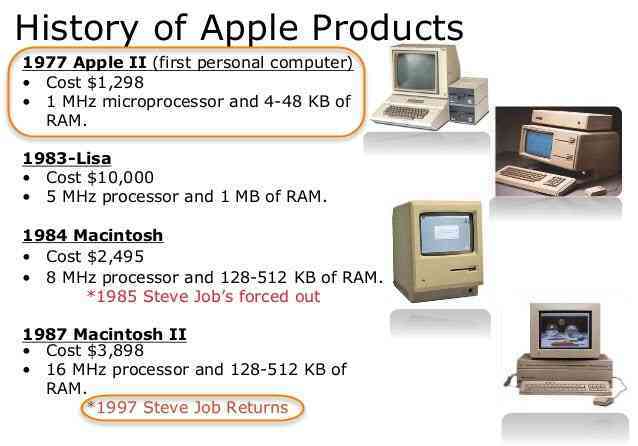 Apple 2 was totally different than computer we see today. 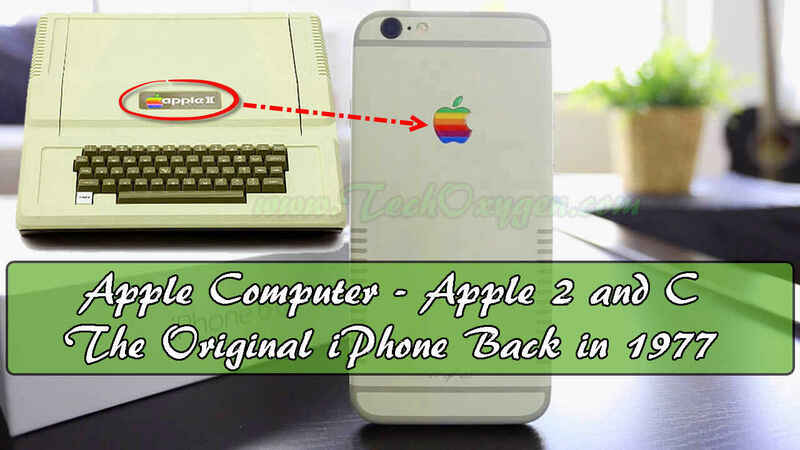 Unlike Apple products today, Apple actually wanted “Apple 2” to be really accessible to the users so they can upgrade parts. Users can add iO not like anything we see today with Apple, where they charge users hundreds of dollars for RAM. Megahertz Processor In Apple 2? Now for reference to how far things have come today, Apple 2 had a one megahertz processor. And for contrast, user could need about 2,000 of these to equate to computing power inside most phones today. Something interesting with the Apple 2 is there was no floppy disk drive on this machine. So the way you accessed data or really did pretty much anything was through add on peripherals. But the attention to details on Apple 2 is kind of crazy. What immediately stands out to us is the Apple computer logo right smack in the middle and we are willing to bet that this was more than likely intentional because of how OCD Steve Jobs was. One the left side of Apple 2, we have the power supply followed by the speaker below that. Hopping over the keyboard, we found “BELL” written on the G key. We actually not sure why there is a BELL text on it. Moving on to the keyboard. The Keyboard of Apple 2 has some nice Clicky, tactile response, very similar to a mechanical keyboard. In addition to the Bell key there’s also a REP key. Which we would assume means repeat, but also unlock any computer keyboard we see today. We actually used to have a disk drive that we thought would be a great idea to turn into an SSD, throw it in then give it away. But that left us without an option for the Apple 2. 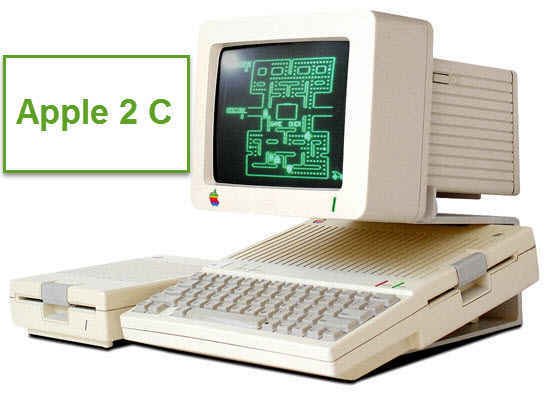 But not to worry we have the Apple 2 C as well, which does have floppy reader built-in and will allow user to play any game maybe “The Glorious Oregon Trail”. We tried this game with Apple 2 C using the Floppy Diskette. Honestly that was the darkest Oregon Trail game we have ever played on Apple 2 C.
Now from there, let us fast-forward form 1977 to 2007. When the Apple 2 first came out, it was often referred to as an (Appliance Computer) just like those things in our kitchen. Steve Jobs really wanted people to associate the Apple 2 just like they would have blender or a toaster not in the way that would make you food. But more so that it was insuitive and would make your life easier. This is Apple’s first home audio device, the iPod Hi-Fi. 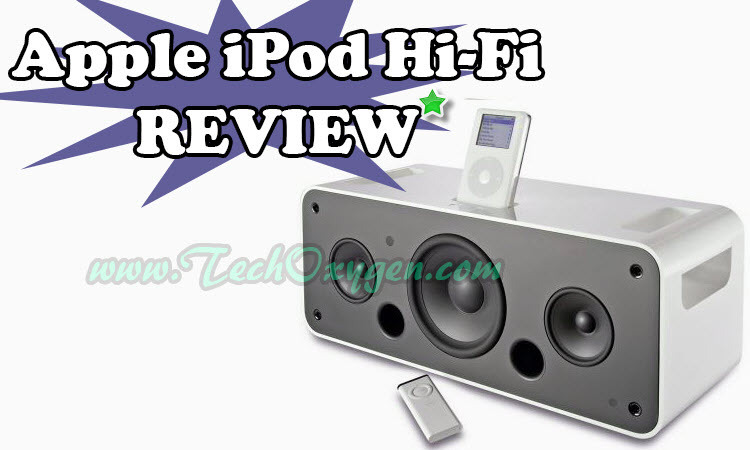 Announced in 2006 by Steve Jobs, the Hi-Fi was a speaker system with a built-in dock designed for iPod using what was then the cutting edge technology of its time, 30-Pin. Now looks-wise, this was built to match Apple’s design aesthetic which back then was mostly gloss-white. Now because the Hi-Fi was designed for iPods, it came with every adapter you would need to connect but on the back, there was also a aux input so just in case you want to be a rebel, you could also connect you Zune. 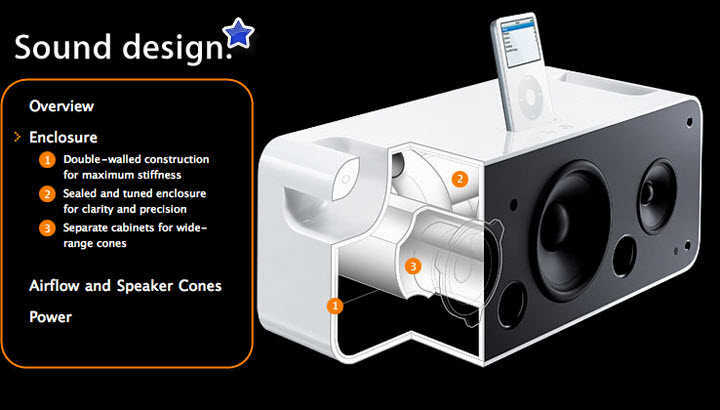 What makes iPod Hi-Fi Unique? What kind of made the iPod Hi-Fi unique though, wells yes, you could plug it into a wall to power it up just like the HomePod. But, Unlike the HomePod, the iPod HI-Fi had built in handles and the reason why it had these, you could actually also power this through D batteries. So Apple at the time mus have had some crazy vision of people rocking this outside in public. Now, when comparing the iPod Hi-Fi against the now current HomePod, things get a little crazy. First, the announcements were scary-similar. They stressed audio quality, “A ported base reflex design so you can see the ports coming right out the front. We get great base out of this thing and it does not distort when you crank it up” (Said Steve Jobs). That is automatic base equilization in dynamic software modeling so as we turn the volume up, it’s free from distortion. And in classic Apple fashion, how current products are not meeting people’s needs? 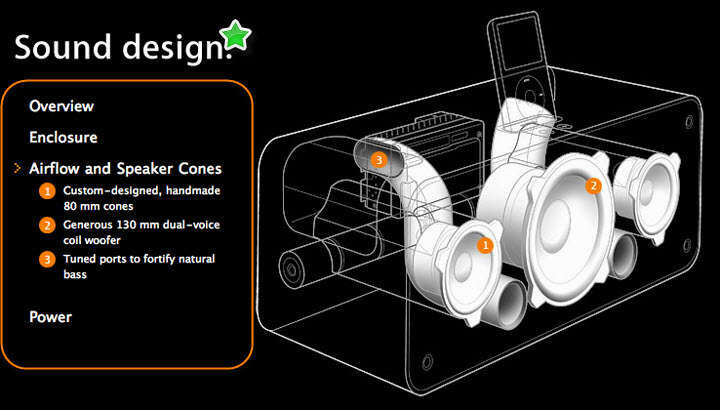 “But the problem with these products is that none of them really offer home stereo quality. Other companies have worked to make smart speakers, that you can talk to but they don’t sound so great when you listen to the music.” Where it gets super crazy though that the iPod Hi-Fi was released at the exact same price as the current HomePod: $349. “Really more in the iPod economy space at $349. The HomePod is gonna be priced for $349.” Said Steve Jobs. So it’s pretty clear the iPod Hi-Fi and the HomePod have a ton in common and that got me thinking could I turn the original iPod Hi-Fi into a HomePod? So, we tested this Original Apple HomePod with Siri. With the fair warning, this is in no way practical and anyonein their right mind should not try this but for science we tested. So, clearly hooking up something like an Echo Dot to an external speaker is the simplest and most practical way to do things. But we ain’t looking for practical. So the goal there was to get Siri working through the iPod Hi-Fi and the first thing we tried was the very cheap, inexpensive Bluetooth 30-pin adapter. We thought it would look cool, it woule match the iPod and kind of keep that 30-pin vibes going. The problem was though, after we connect and listen to a (mobile ring tune) that works great that means music will play through the iPod Hi-Fi but if you tried it with the Siri, it won’t work with it instead your phone speakers will responds rather than iPod Hi-Fi. Personal VPN Services is one of those technologies that’s becoming more and more important as more people start doing their work on the road. So, VPN Services used to be all about securing the connection between “Remote Computers” and “Corporate Offices or Business Offices”. Now in 2016 VPN Services are being used simply protect data asit is sent through the internet. The Idea is what happens if you take your DATA, you Encrypt your Data, You can put DATA in to another encrypted tunnel and then the DATA can be send to an end point through the internet. So, Basically your data is protected twice going through the internet. Means its put in a tunnel and then its encrypted with in that tunnel until it get all the way out to the other side. 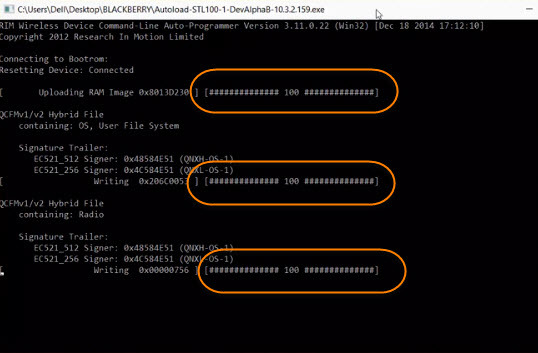 Is because if people are trying to do network sniffing attacks or “Man-in-the-middle” attacks. Means if they can get in the middle of the connection between your client computer and the server that you’re trying to connect to. Even if they can see the DATA is encrypted so they don’t know what it is. 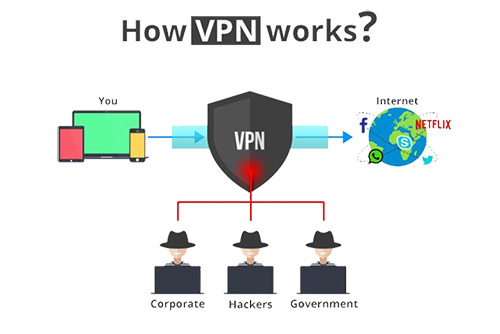 The nice part with these VPN tunnels is they have self protection mechanisms, So that if they see that they are being attacked they actually drop and then they will retry to “Reconnect” using a different route. So, the purpose of VPN is to Protect your DATA when it goes from “Point A” to “Point B”. This used to be very important in the enterprise world. 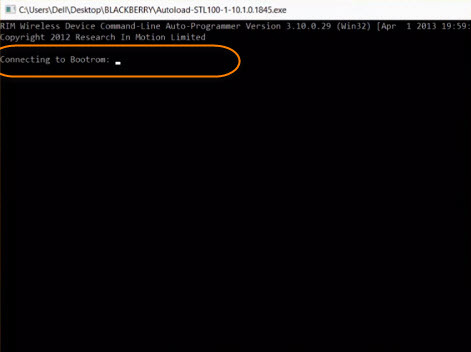 For ex, You go home and you’re sitting at your work provided laptop at home and you try to connect to the work network you would set up a “VPN Connection” from there you’ll be able to connect to outlook, or to share files and folders and much more with a Protecd connection. For you and people have been using it for about 20 Years. But now VPN services are becoming more important as more people start using their laptops in “Non-Protected” environments. If you go and use your laptop computer and use it at a “Startbucks” or a “Cafe” or you use it from a Hotel Room. The problem is that when you are using a “Public Network” there may be Hackers on that network they try to “Sniff and Grab” your data steal your Sessions or cause all kinds of other problems. VPN is here to safe your and your Important Data and Information from this kind of troubles. 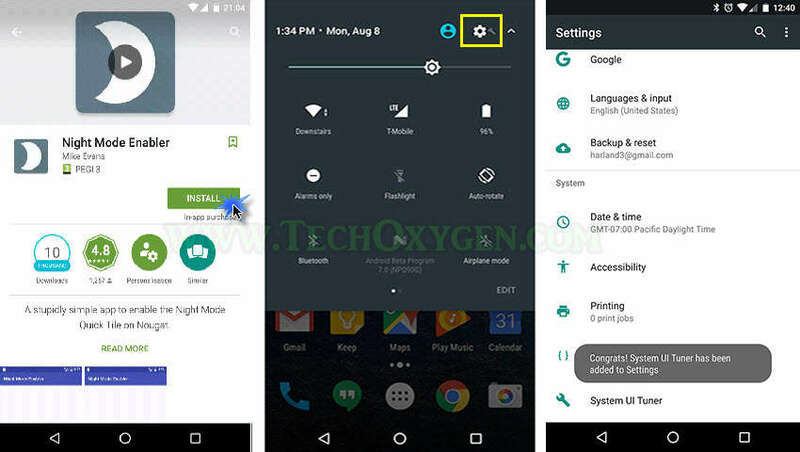 How to enable the hidden Night Mode Option in Android Nougat Version 7.0? So, in the first developer preview of Android 7.0 was released. One of the biggest new features was a “NIGHT MODE” that cancelled out “Blue light” on your phone’s screen. It is similar to “f.flux for Desktop” or Apple’s night shift mode. Which are both said to help you get SLEEP easier. Because the “BLUE LIGHT” frequencies that your screen emitted at night trick your brain into thinking that it’s still daytime which causes you stay up later. Fortunately Google got rid of the night mode feature, they released the final public version of Android Nougat. Well actually they didn’t get rid of it instead of just hit from view. 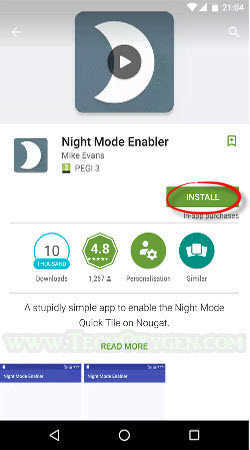 Developer “Michael Evans” created an app “Night Mode Enabler” that will let you activate the Night Mode in your phone and that will help you to sleep earlier. The App “Night Mode Enabler” doesn’t even require root but you will need to be running Android Nougat Version 7.0. 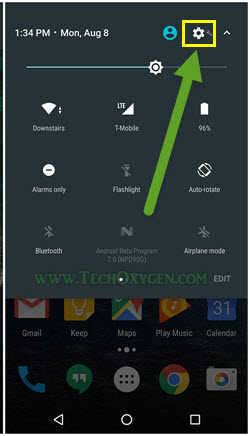 And you probably need a Nexus device because other manufactures have hidden the “System UI tuner Menu” it relies on. If we talk about the “System UI tuner” that’s the first thing you’ll need to enable for activating Night Mode in your phone. Now you can use this app to make you sleep earlier somehow, Well if you are having any trouble or problems regarding Night Mode. Feel free to ask me in the comment below.